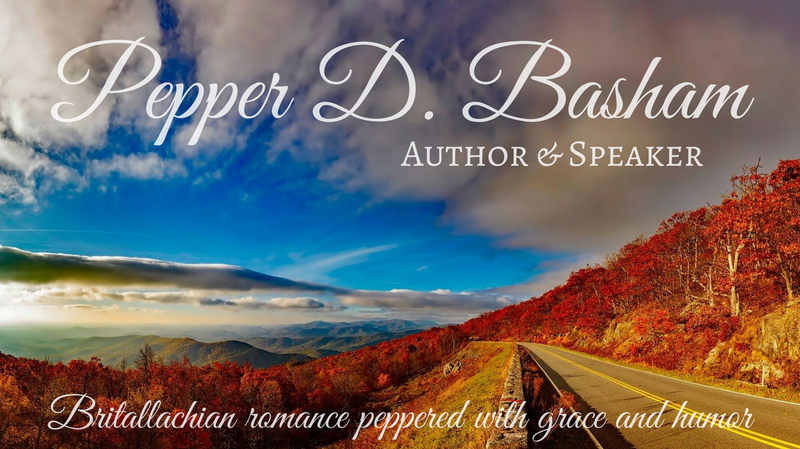 One of the things I looked forward to most in Denise Hunter’s new series is that it takes place in the Blue Ridge Mountains, the north Georgia section of the Blue Ridge. (You can read my review HERE.) There’s even a town called Blue Ridge!! You can learn more about it through this beautiful video HERE. One of the best places to visit in northern Georgia is Chattahoochee National Forest, over 700,000 acres of forest land. There’s camping, fishing, swimming, hiking, and of course, taking in the views. You can find out more HERE. My family and I visited northern Georgia a few years ago and loved the hikes, some amazing waterfalls, and the adorable town of Dahlonega. Hailed as the site of America’s first ‘gold rush’, Dahlonega is such a quaint place to explore some history, eat good food, and just enjoy the overall ambience of a mountain town. You can learn a little more about Dahlonega HERE. The Blue Ridge Mountains (a smaller mountain range within the larger Appalachian mountains) start or end, depending on your reference point, near Sawnee Mountain, Georgia and extends all the way into Pennsylvania. Their rounded and smaller peaks are more plentiful than their westerly neighbors in Colorado, but not as ‘majestic’ in height. 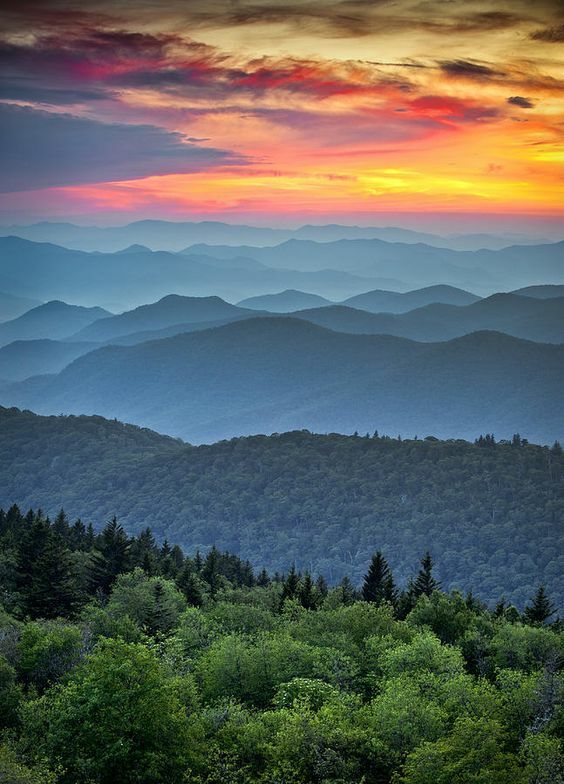 They layer each other to the horizon creating variants of blue- so much so, that some of the native Americans referred to the Blue Ridge mountains in Virginia as ‘Shenandoah’. Two possible definitions for this word are Silver Water or River of High Mountains. Appropriately named, since these mountains kind of look like miles and miles of blue-ish and/or silvery ripples as far as the eye can see. One of our family’s very favorite places in the world (which, admittedly we’ve not seen a whole lot of, but still) is Shenandoah National Park. The mountains are just breathtaking. I placed several scenes from my first book in the park. We haven’t visited yet this year, but we’ve never been there in the fall, so maybe this is the year to try.